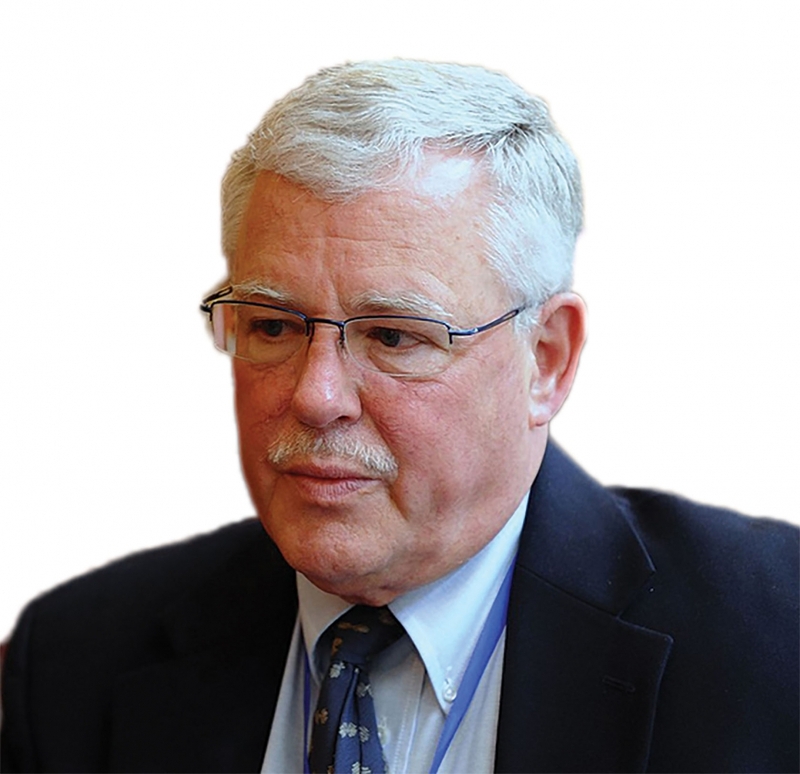 This is the sharing of Carl Thayer, Emeritus Professor of Australian Defense Force Academy, with The World and Vietnam Report on the occasion of the 30th Diplomatic Conference. Professor Carl Thayer shared some overall assessments on Vietnam’s foreign policy and significant tendencies in international relations, thereby emphasizing that Vietnam’s opportunities for “creative diplomacy” must be based on domestic unity and stability as well as a strong capacity for national defense. What is your overall assessment on Vietnam’s diplomatic activities since the 29th Diplomatic Conference (August 2016) so far? What are the characteristics of Vietnam’s foreign policy in this period, Professor? Vietnam’s foreign policy over the last two years has been shaped by strategic policy decisions adopted by the 12th National Congress of the Communist Party of Vietnam in January 2016. Four major themes continue to shape Vietnam’s current diplomacy: diversification and multilateralization of external relations; active and pro-active international integration; defending national interests through struggle and cooperation; and maintenance of independence, sovereignty and strategic autonomy. Over the last two years Vietnam’s diplomats have made greater efforts to build upon past political commitments and upgrade cooperation with at least sixteen existing strategic partners and ten comprehensive partners, including members of the United Nations Security Council, particularly France and the United Kingdom and other major powers, including India and Japan. Relations with Australia were upgraded from a comprehensive partnership to a strategic partnership. Negotiations with New Zealand are continuing. The Trump Administration has reaffirmed its commitment to the United States-Vietnam comprehensive partnership. Compared with several founding members, Vietnam is contributing more to the unity and cohesion of the Association of Southeast Asian Nations (ASEAN). In particular, Vietnam has contributed positively to the ASEAN Defence Ministers’ Meeting Plus and the ASEAN Chiefs of Navy Meeting. 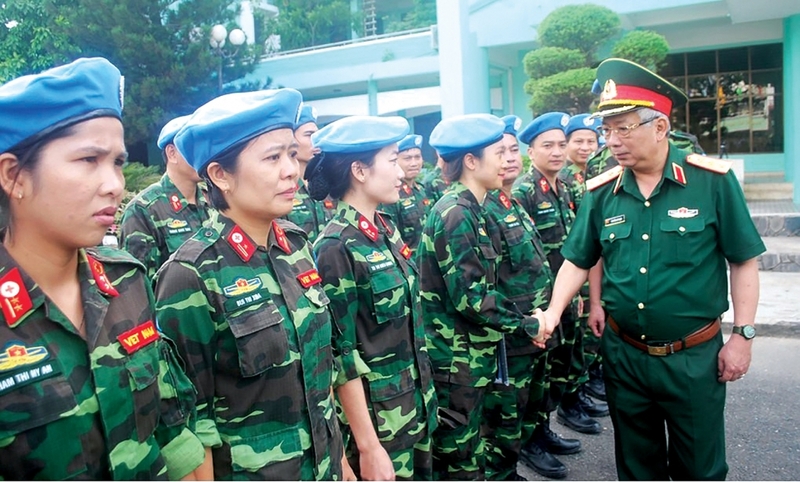 At the same time, Vietnam is poised to make its first substantial commitment to United Nations’ peacekeeping through the deployment of a Level II Field Hospital to the South Sudan. As a result of these diplomatic efforts, Vietnam is increasingly viewed by the international community as a valued strategic partner that positively contributes to the region’s prosperity and security. This is reflected in Australia’s current Defence White Paper (2017), U.S. National Security Strategy (2017) and U.S. National Defence Strategy (2018). With the current situation in the region and the world are changing rapidly, what are the advantages and challenges of the Vietnamese diplomacy? The current regional and global balance of power is composed of contradictory currents thus heightening strategic uncertainty. On the one hand, the global economy is slowly recovering from the Global Financial Crisis a decade ago. On the other hand, domestic forces that oppose globalization are on the rise and their governments, most notably in the United States, advocate protectionist policies. The Trump Administration’s imposition of sanctions against Russia for its occupation of the Crimea and intervention in the Ukraine and U.S. imposition of tariffs against China and other states could lead to a trade war and impact negatively on global economic growth. The post-World War 2 “liberal international order” of multilateral institutions created and sustained by United States leadership is weakening. U.S. President Donald Trump, on assuming office, ordered the U.S. to withdraw from the Trans-Pacific Partnership (TPP). President Trump openly encourages the breakup of the European Union. His policy towards the North Atlantic Treaty Organization (NATO) remains ambiguous. President Trump opposes multilateral trade agreements and has pressured Canada and Mexico to renegotiate the North America Free Trade Agreement (NAFTA). Trump has also hobbled the World Trade Organization (WTO) by vetoing the appointment of judges to dispute settlement tribunals. Some critics argue that Trump seeks to wreck the WTO. President Trump’s pro-protectionist nationalism resonates with his domestic power base. In addition, Trump’s deregulation of government restrictions on business coupled with corporate tax cuts have spurred economic growth raising to four percent in the second quarter of 2018. Meanwhile, President Xi promotes globalization and opposes protectionism. He has reached out to the EU to cooperate with China on this issue. At the same time, China’s economy is slowing as President Xi shifts from China’s reliance on export driven growth to increasing domestic demand. While President Trump creates strategic uncertainty, President Xi offers a new model of world order based on China’s leadership funded by economic prosperity. China aims to become a global power by 2035 with the requisite military strength. China creates alternate multilateral institutions, such as the Asia Infrastructure Investment Bank, to replace those of a weakening liberal international order. Xi’s signature Belt and Road Initiative is a sweeping strategy to integrate China with the Eurasian land mass and the major sea-lanes of communication from the East China Sea, East Sea/South China Sea to the Indian Ocean and South Pacific. Vietnam is poised to become the ASEAN Chair in 2020 and has been nominated by the Asia Bloc for non-permanent membership on the UN Security Council in 2020-21. Vietnam will face many opportunities for creative diplomacy as long as major power tensions do not markedly escalate. Vietnam’s opportunities for creative diplomacy must be based on domestic unity and stability as well as a strong capacity for national defense. Within the region Vietnam must continue to work to step up the pace and effectives of ASEAN community building across all three pillars – political security, economic and socio-cultural. In 2017, Vietnam has successfully organized the APEC Vietnam 2017. Could you please tell us the significance and impact of this event on Vietnamese diplomacy? Vietnam’s successful hosting of the APEC leaders’ summit last year was possible because of Vietnam’s track record of successfully hosting the Francophone Summit in 1997, APEC Summit in 2006 and the ASEAN Summit in 2010. The APEC summit in Da Nang enabled Vietnam to show case its successful economic development. It also provided an opportunity for Vietnamese leaders to hold discussions on the sidelines with important government leaders as well as to host official visits to Hanoi by government leaders from Canada, China, Chile and the United States. Vietnam demonstrated extraordinary leadership in shepherding discussions on the TPP-11 and promoting APEC’s multilateral goals of promoting regional economic integration. Vietnam gained a bird’s eye view of friction as well as cooperation between Washington and Beijing mainly focused on different approaches to trade and how to prevent nuclear proliferation in North Korea. President Trump’s advocacy of high-standard bilateral free trade agreements provides an opportunity for Vietnam to continue to pursue a free and reciprocal FTA with the United States. This would give Vietnam improved access to the U.S. market at lower tariffs and perhaps achieve market economy status in the future. A key task is to resolve disputes over U.S. tariffs on catfish, shrimp and steel. Vietnam can take advantage of the willingness of Trump and Xi, respectively, to expand their bilateral comprehensive partnership and comprehensive strategic cooperative partnership with Vietnam. Vietnam can benefit from more involvement by American companies operating in the domestic market and benefit from Chinese investment in Vietnam under the Belt and Road Initiative.